Terra Caribbean Grenada offers a knowledgeable team of diverse real estate agents, all skilled and equipped with resources on Grenada’s real estate market. We ensure that all of our clients are professionally advised and guided to make informed decisions. Continually investing in our team is an integral part of improving our service as we ensure that the process of buying, selling and renting in Grenada is effortless for our clients. 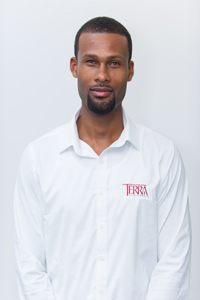 Anderson Pascall is the Property Administrator at Terra Caribbean. His courteous nature, customer-oriented skills and hands-on approach to work make him a great team player. Anderson brings to the Property Management service line 9 years of valuable experience as a Certified IT Technician and seeks to grow professionally within the team while contributing to the overall success of the company. One of Anderson's favourite pastimes is basketball. Garth St. Bernard is the Property Manager at Terra Caribbean Grenada. Garth brings to the Terra Caribbean Team over 10 years of Banking experience with focus on Personal Lending and Small and Micro Business Development. 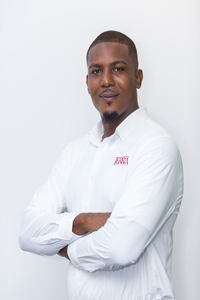 He is a Graduate of the prestigious Presentation Brothers College with further learning from the University of the West Indies, Certified Accounting Technicians and The Institution of Canadian Bankers. Having been taught from a young age that hard work and the right attitude brings success, he has strived to have just that in whatever he is tasked with. He has always been a dedicated, fun-loving, team player having worked with different social groups on projects ranging from sporting to fund-raising. Garth is very excited to have been added to the Terra Caribbean Team and believes that his experience, dedication and attitude will add value.